Ivana Rivas put her trust in God during a season of hard times. Months after Ivana and her husband bought and moved in a new home, her husband had to resign from his job as things were not going well. Obviously it was terrible timing. However, they believed that somehow God would see them through their situation. One Friday night they were invited by friends to attend a prayer meeting held in a local church they had never been before. The guy that shared a message gave a word of encouragement to Ivana’s husband. It was certainly appreciated. Then he looked at Ivana and gave her a bible verse, 2 Corinthians 2:14 “But thanks be to God, Who in Christ always leads us in triumph [as trophies of Christ’s victory] and through us spreads and makes evident the fragrance of the knowledge of God everywhere,” (AMP). She pondered with the scripture, but had no clue how it would affect their circumstances. Months pass by and her husband still could not find a job. To make matters worse he had no leads or clients to begin his own business. They managed to barely get by, but eventually they realized that God was trying to redirect their steps according to His will. He wanted to bring them to total trust and dependence on Him. This was evident when her husband decided to enroll in Bible College full time. It was then Ivana’s husband started to receive phone calls from clients. Their situation began to change for the good to their amazement. That revelation resonated within Ivana for a while and perhaps it will for the rest of her life. The reality is that the moment they invited Jesus Christ to be their Lord, and decide to follow and pursue Him above all else, their position shifted from defeated to victorious, for He already won it all. Of course we all might have to walk through the uncomfortable narrow gate, yet the reward for following the ways of Christ Jesus will be great. The song “Thanks be to our God” refocuses the attention on the eternal victory Christ won. The glory He will share with mankind cannot be compared to any present suffering (Romans 8:17-18). Of course we live in the ‘here and now’, however, when our faith stumbles, discouragement hits, and circumstances arise against us, we should ‘look beyond’ through the eyes of faith and stand in God’s promises. The project “Look Beyond” is intended for listeners to be encouraged when pursuing God. Never lose sight of who He is and what He has done. As we lift the name of Jesus and approach His presence with a grateful heart, we find freedom, hope, comfort, confidence, certainty over and over again through His precious Holy Spirit in us. Only dwelling in His presence we are found, encouraged, refreshed, empowered, transformed, guided, envisioned in His plan and entrusted with what He has predestined us to do. If guilt and shame try to remind us of our past, we know that the blood of Jesus made us whole again, for He paid it all for our redemption. When faced with opposition, trials, we lift on high the name of Jesus, name above all names. When suffering occurs, “thanks be to our God” who always leads us in triumph, for the awaiting glory Jesus will share, cannot be compared to the present suffering. This is how we can look beyond. When insecurity and weaknesses arise and we tend to step back or give up on dreams and purposes, we can shout aloud that we are stronger in the saviors hands for He is our God and His love is better than life. People that have experienced any level of brokenness, hurt, and have lost hope, including believers can look beyond current circumstance. Lean on God, listen to His Spirit and allow Him to guide you, which can be outside the box at times. Hence the message of “Look Beyond there is hope, He is the anchor of our souls” from the song “Thanks be to our God” becomes alive. 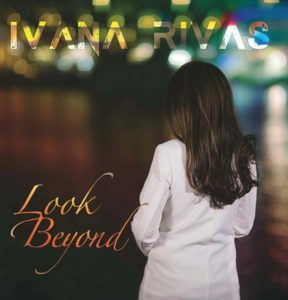 “Look Beyond”, an album of ten melodic pop style songs of ‘devotion and heart dedication’ can be purchased at Amazon, iTunes, Google Play, and from Ivana’s Official Website. The inspired project reflects Ivana’s personal testimony in encountering and experiencing God. 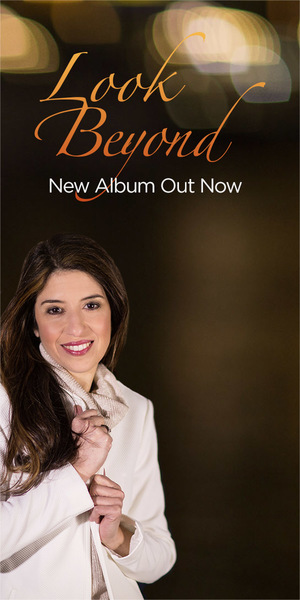 As she witnesses of Jesus Christ through her music, she also “invites” the listener to come along on a journey where God is revealed and glorified.